I’m excited to announce that I have a chapter in a brand new volume entitled The Production and Consumption of Music in the Digital Age. The editors, Brian J. Hracs, Michael Seman, and Tarek E. Virani, worked tirelessly in a process that ultimately took a couple of years. This actually began as a session that Hracs organized at AAG 2013 in Los Angeles. I presented some research I’d done about a few new (at the time) record stores in Highland Park, one of my favorite areas of Los Angeles. Brian and Michael (who I met shortly afterward at a dinner in, from what I remember, was an engine room/speak easy restaurant… you know, downtown LA) both thought my chapter would make a good contribution to their book, so here we are. You can read up on the chapter list at the book’s catalog page on Routledge. A great cast of characters contributed, including my colleague Tom Bell, continuing his collaborations with Peggy Gripshover and Ola Johansson on a geographic analysis of music venues in Pittsburgh and Nashville. I can’t wait to look through a hard copy of this. 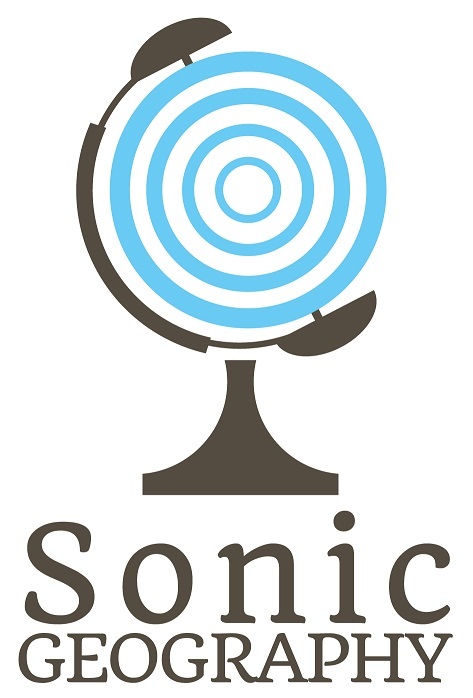 If you or your professors/students are looking for a great addition for your course in Cultural Geography, Music Industry, Musicology, or anything involving the post-internet economy, make sure to check this out. And add it to your library! Don’t forget to do that, either. And follow the project on twitter. The list goes on. 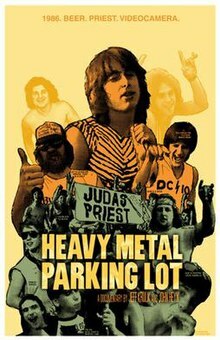 While I was scrolling through older entries trying to find that one about AAG 2013, I passed by an entry about Heavy Metal Parking Lot. A quick word of congratulations to my friend Jeff Krulik on the 30th Anniversary Exhibit at the University of Maryland’s Michelle Smith Performing Arts Library. I was actually at that library for a couple of days the week before the exhibit opened, and it BURNED that I just narrowly missed it. But, if you’re in the DC area, you don’t have to! It’s runs through next spring. I regret being silent about the November 13th terror attacks until now, particularly since they affected so many people and places I got to know this July. As difficult as this is to watch, I found it incredibly moving and important in understanding the band’s perspective on the horrors that took place at their November 13th concert at Bataclan in Paris. You can see how traumatized they were, particularly band co-founders Jessie Hughes and Josh Homme (the latter of whom wasn’t even there for the show). When I initially discovered that one of the massacre points was at an EODM concert, it shook me even further. I’ve been a fan of this band for a long time (ever since seeing them in 2006 in DC), and may very well have gone to that concert if I’d stayed in Paris beyond this summer. On a personal note, to the best of my knowledge, everyone I met and got to know this summer in France is doing well. Tragically, a colleague at the Universite L’Est wrote and told me that one of his fellow geographers died in this attack. All the best wishes to Matthieu’s department and to his family. Cheers to the Eagles of Death Metal for their willingness to share this, their devotion to their fans, and particularly Hughes’ commitment to being the first band to play the venue when it reopens. Other videos of this show on Youtube show Hughes lavishing praise on the incredible Paris crowd, who had been spending most of that chaotic night having the time of their lives. Cheers to Vice for their continued good work in shining a light on how music is powerful enough even to transcend the evil found in places around the world. I have so much to update on about my time across the pond (too much, actually), but I need to take care of all kinds of housekeeping before I do. So for now, here’s this. This came across my feed yesterday, and a friend sent it along today, so I figured I would pass it forward. Some would be shocked that a member of GWAR is an established academic with a PhD in Music, but I would actually be more shocked if nobody in GWAR had a PhD. They’ve always seemed weirdly high-concept to me, and this talk from their longtime bassist and vocalist (out of costume) confirms how they’re as important to their hometown of Richmond, VA as they are to heavy metal, theatrics, and the fake blood industry. I deeply admire how It’s Casual represents and interprets Los Angeles. In both their songs and videos, L.A. is the polar opposite of the place where dreams come true. It is a smoggy, violent pastiche of contradictions where fantasy only exists in some unattainable alternate dimension inside of billboards and bus bench advertisements. After spending a couple of years in the area, I find it remarkable how quickly my imaginary of Los Angeles moved away from the artificial public memory filled with sun, surf, and vapid blondes. Personally, I (somehow) never tried surfing while I lived so close to the SoCal waves, and the only sun I remember was the uncompromising star that scorched the streets and made it nearly impossible to see anything if you were unlucky enough to be staring directly into it while sitting in traffic for three hours on the 405. Fortunately, for that fleeting moment when you are crawling down the hot asphalt plain, cursing out everything within your peripheral vision, wondering why human beings do this to themselves, you’ve got a spokesperson. His name is Eddie Solis. You can tell me about your romanticized mental landscapes of Southern California until your words have melted away into white noise. For my money, there is nothing more quintessentially “L.A.” than a Chicano dude playing metal and screaming about how godawful the freeways are. This song, along with this album’s other iconoclastic video “The New Los Angeles,” are exactly that. It is not pleasant, but it rocks, and perhaps more importantly, it’s completely honest and sincere, two qualities that few people would immediately associate with Solis’ hometown. Another thing that most outsiders and a disappointing amount of Angelenos would never assume: the public transit is outstanding. Los Angeles grew generations of people handcuffed to their cars, but unlike from over the Hollywood sign, that smoke is finally clearing. Metro knows exactly what they are up against, and their growing system of light rail, subways, express bus lines, and city buses (all intertwined with GPS that lets those with smart phones know when they’re going to arrive down to the second) are responding. So, if you find yourself in the city of Angels, do take advantage of those resources. It will make your life easier and you may even run into Eddie Solis on the Red Line. I did once… it was a strange night. I really miss that metropolis. Mapping metal, especially its active “underground,” is a messy task at best. No laws or sharpshooting border guards keep bands playing within one style, nor are there any official music guardians or academic gatekeepers enforcing the standardized usage of terminology by critics, publicists, or fans. Moreover, styles are not watertight containers: they leak, bleed into others… With borders more porous than those between Mexico and the United States, or Pakistan and Afghanistan, not even fans or critics know where to draw the lines (Weinstein 2011, 41). I should revise that title to “punk,” to accurately reflect some research I’ve embarked upon lately, but then I would lose that amazing pun. Actually, given the overarching material on the project, Metal is a more appropriate term anyway. That being said, Deena Weinstein’s quote here is perhaps more applicable to metal, considering the orthodoxies that certain critics and fans hold punk rock to while metal is encouraged to diffuse and transform in more respects. Anyway, I’m currently working on a paper about the ethnomusicology behind punk rock in a post-Suharto Indonesia. Kevin Dunn published a great on-the-ground piece on punk in Indonesia in the latest Razorcake which deserves a read by anyone interested in the intersection between DIY music and the homegrown radical politics of Southeast Asia. It started me thinking about how modern outsider perspectives on Indonesia have grown over the course of the past century, particularly since the nation-state is such a messy agglomeration of so many different scenes, styles, and ethical foundations. The United States would be part of a similar conversation if it were fifty different islands rather than a union of one gelatinous mass of forty-eight states, an arctic landmass, and a tiny tropical archipelago. But, we’ve got a world bound (and in most cases, choked) by flags, so in order to really understand the actual nations left on Earth, underground music that operates (ideologically, at least) outside the confines of these governments is a good place to start. Toward the end of the piece [in Malaysian magazine G.O.D. ], he is asked: “What are you know about my country Malaysia, especially about Black Metal bands?” The Lithuanian replies: “About Malaysia I know very little, sorry. About bands? I know Aradia, Bazzah, Misanthrope, Nebiras – fine Black band. Death Metal I know Brain Dead, Suffocation [sic], Sil-khannaz, Kitanai Chi, Silent Death. Yeah! Nothing more!” (Weinstein 2011, 49). Yeah! Indeed. Anyway, back to reading. Have a great week, everyone. Dunn, K. (2013). One Punk’s Travel Guide to Indonesia. Razorcake 76. Los Angeles, Gorsky Press: 34-45. Weinstein, D. (2011). “The Globalization of Metal.” In (Wallach, J, Berger, HM, and Greene, PD, Eds.) Metal Rules the Globe: Heavy Metal Music Around the World. Durham, NC: Duke University Press, 34-59. I have a bad habit of taking a long time to catch up on popular media. I mean it when I say a long time. I recently watched the Metallica documentary Some Kind of Monster for the first time. It came out in 2004. The events depicted in the film transpired among the band members over a decade ago, which is almost as difficult to believe as realizing that Robert Trujillo has been playing bass in Metallica for ten years. Granted, the point in the documentary when he joins the band is probably the group’s emotional peak, so it’s not a major surprise that he’s stuck around. From merely a sociological standpoint, the film is already fascinating. 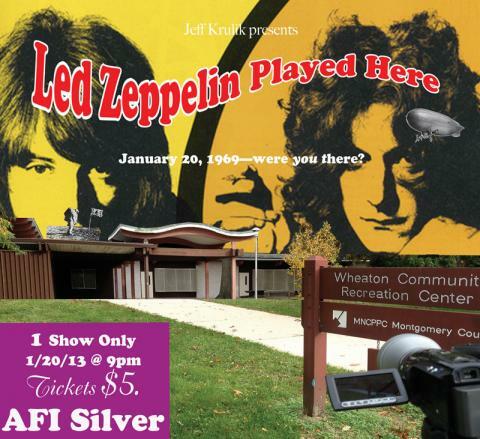 As the party line on the documentary reads: After Jason Newsted left the band in 2001, it accelerated an emotional and professional tailspin for the band’s remaining three members and their erstwhile producer Bob Rock. Considering how the band had been a money-making machine for Elektra and its parent companies for well over a decade, their management company hired a $40,000-a-month (that is not a typo) therapist named Phil Towle to get them to make up and make an album. Their label also sponsored an extravagant recording bunker in upstate California to force them back into the “organic” cradle. Such is the tragedy of major-label success. You’re not really a band anymore as much as sustained capital, and many scattered workers within the pop-metal cloud rely on you for their sustenance. This dynamic is pretty recognizable to anyone who’s read enough Karl Marx, C. Wright Mills, or even Simon Reynolds and/or Will Straw. Despite innumerable reasons to do so at the time, Metallica did not break up. They did make tremendous fools of themselves, though, between James Hetfield’s highly publicized stint in rehab and subsequent bizarre work ethic, not to mention Lars Ulrich’s crusade against illegal music downloading (though Jonah Ray would have you think otherwise). Well, the band as an entity suffered, their high-priced therapist exposed himself as highly unethical, and critics generally firebombed the record that emerged from it (St. Anger), but the humans behind Metallica emerged from the ordeal in four individual pieces and continued earning massive sums of money for Elektra, Warner Music Group, and all the other vested interests. In thinking about my own research interests, Metallica are distinctively relevant for other reasons. In Suroosh Alvi’s fascinating 2007 documentary “Heavy Metal in Baghdad,” the featured band Acrassicauda doesn’t wake up a crowd at a Damascus cafeteria show until they creep into the opening chords of “Fade to Black.” Alvi comments that the rock fans at the show came to life because they’d never had the opportunity to see Metallica live, and this was the next-best thing. They could practically close their eyes and imagine being at a Metallica concert. The video was filmed on location in San Quentin State Penitentiary, focusing on individual inmates’ stories of how they got locked up. Zak’s little brother Mohammed ran in, sat down, and started singing along with the chorus. At the time, Mohamed was nine and barely spoke any English, and he was learning it from the worst music Metallica had ever produced*. Arnd turned to me and whispered, “not the most positive depiction of the United States.” Of course it wasn’t, but the video did present a brutally honest depiction of life for many Americans. It was hardly glossy, but it was more in line with the generalizations and propaganda that Americans spend their whole lives being fed, visually and subliminally, about the Muslim world. Given Metallica’s fanatical following in the Middle East (and across the entire planet, despite losing their best musician and secret weapon 27 years ago), the band does seem to understand (and be at terms with) their power and influence. The same reasons that their management would not let them fold are the same reasons that they need to remember that they are ultimately pop stars and cultural ambassadors. Of course their popularity only tells a shred of the story of metal’s role within the interstices of cross-cultural geographic thought, and so this infinite line of thought begins. I highly doubt that Bob Rock had little metal-heads halfway around the world in mind while he was overproducing Kirk Hammett’s guitar riffs, but as the world shrinks, cultural influence tightens, and it may surprise you when you witness it. The music lover in me still regrets not going out and digging up a copy of Ride the Lightning^ for Mohammed, but I can only assume he discovered it eventually. * I generally do not partake in bashing artists or any such entities online. But, to be fair despite certain misgivings I expressed here, this is honestly approximately the 192,439,822nd most-offensive thing that has been written about Metallica on the internet, and I am among the legions of fans who have nothing but praise for their near-perfect first three LPs. ^ To understand what got me into (classic) Metallica after many years of apathy, check out the intro sequence to the hilarious 2009 romp “Zombieland.” Certain readers probably already know what I mean.